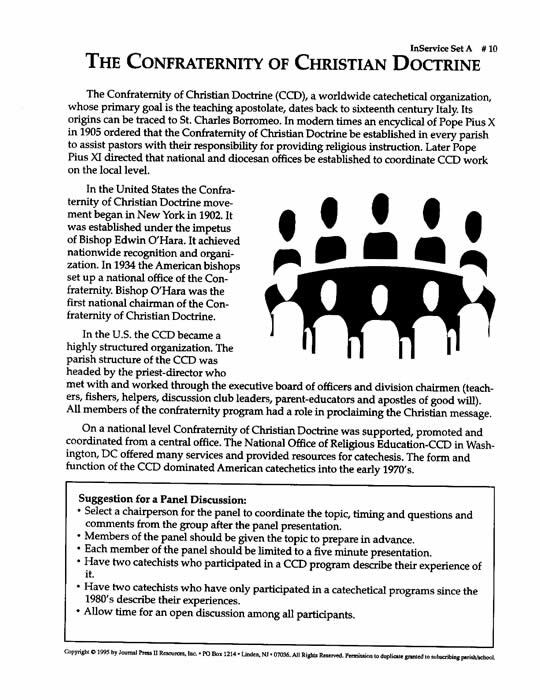 Theme: Introducing basic topics and key ideas in catechetics with a focus on the CATECHETICAL PROCESS. 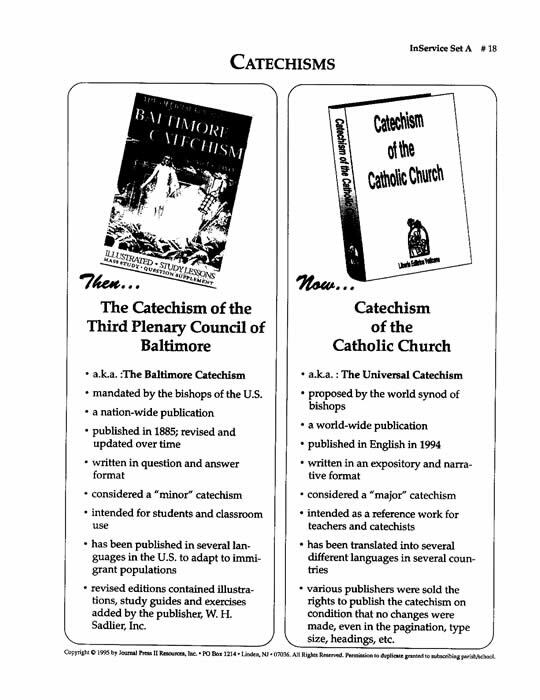 ¥ Whatever Happened to the Baltimore Catechism? Your purchase (below) will enable the placement of the InService Set A MasterSet PDF on your computer. You will receive an e-mail to enable your immediate download for the set.